I really am not a fan of ribbons or bows. That is definitely one of the biggest "thing" for me as far as fashion goes. 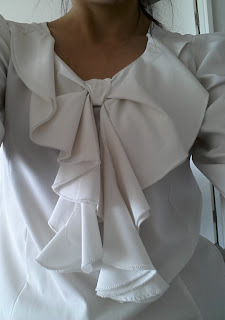 However, there will always be that one or two bows which appeal to me for some odd reason... and here is a blouse I got from Taipei for work. Managed to dress it down for summer with denim shorts. 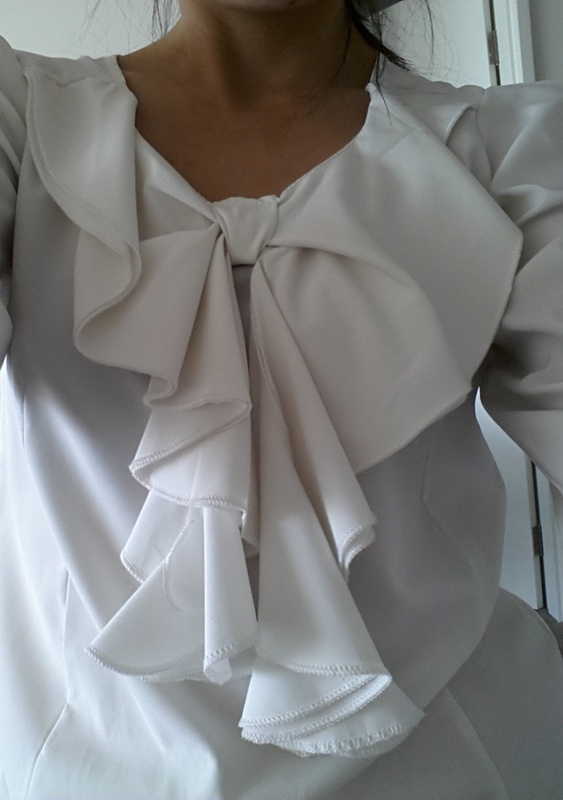 Usually pair it with highwaisted black skirts or pants for the corporate look. It is now nearly May, let's hope the plan succeeds come December.